Conti Solar wrapped a year of achievement in a fitting way: with CEO Matthew Skidmore earning distinction for his outstanding leadership. The NJBIZ “Forty Under 40” awards program celebrates the state’s most accomplished young businessmen and women who have been making headlines in their field and who share a commitment to business growth, professional excellence, and contributions to the community. Matthew was selected as one of five that was honored in the technology industry. As a veteran of both Conti and the solar industry, Matthew has led the company’s solar efforts since 2010. During his tenure Conti Solar has accelerated significantly, and is an industry leader today. The company has amassed a solar engineering, procurement, and construction resume of over 1.5 GW of projects around the US, and has built a robust solar development program. The award caps off an impressive year for Conti Solar. 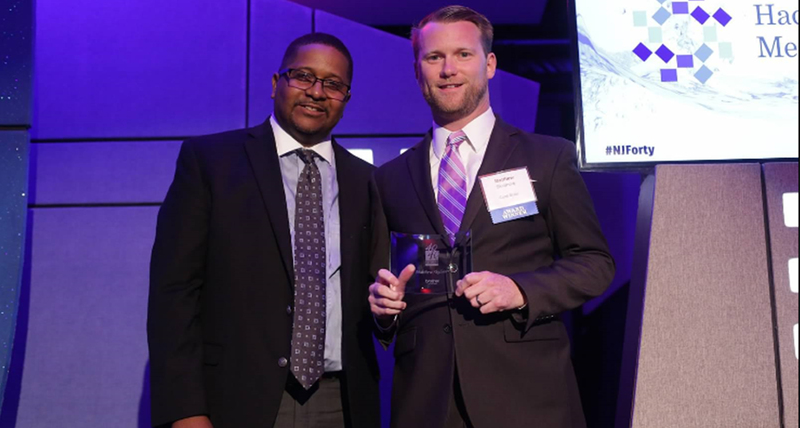 In addition to opening up a new regional office in Worcester, expanding its footprint with several EPC projects in the Southeast and West Coast, and completing its first energy storage project, four Conti Solar projects won Engineering-News-Record awards for excellence. Congratulations to Matthew on this award, and best of luck for an even stronger 2018!